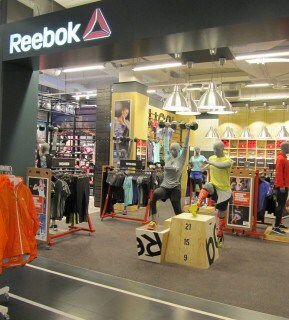 We were delighted to work with Reebok on this shop-in-shop area located within the new Stadium store in Hamburg’s central district following the successful launch of Adidas Homecourt in the same store! 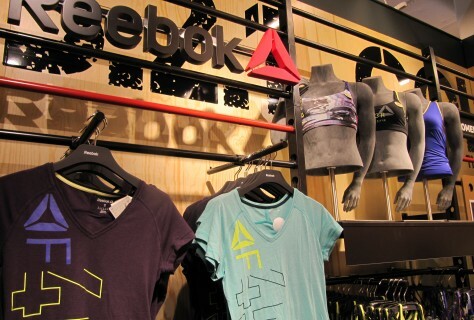 The area focused on Reeboks fitness range and the overall concept had a locker room feel. The store is old school gymnasium themed with engineered wood panels on the walls with steel frames to display the product and steel low pendant lighting. The design is made up of simple geometric shapes shown as floor features and solid shapes. The area also includes many vm opportunities to engage with the consumer. 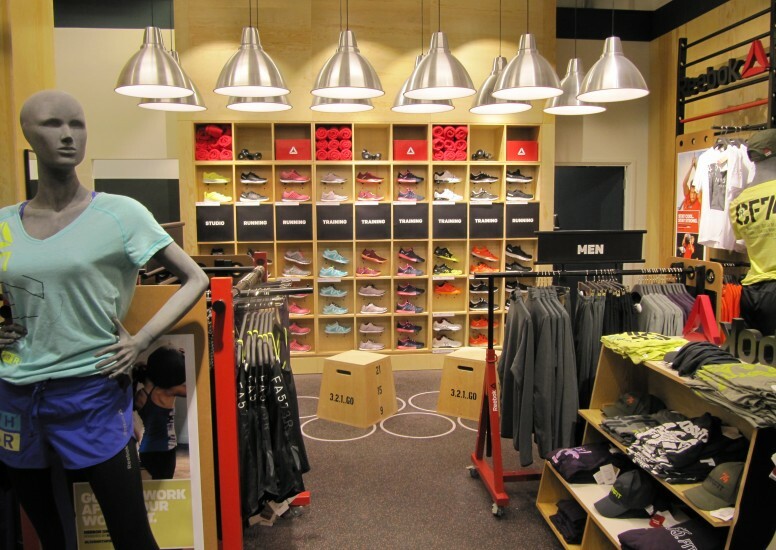 The design was simple but executed well with some quirky features such as the active mannequins. Lighting has been used to highlight the central trying on area and the flexible wall bay systems incorporates key product and graphic spaces. This sits close to the adidas area which we also designed and installed, so a big achievement for Design4retail on this Stadium store project! Overall another great opportunity for D4r to work with an international leading sports brand at such a fantastic location.